The digital transformation we are all experiencing as consumers present new challenges to material makers, as well as opportunities. Contamination control remains one of the largest challenges as integrated circuit (IC) technology advances. Better contamination control can significantly improve yield, and a one percent yield improvement can mean up to $150 million per year in net profit. To enable the Fourth Industrial Revolution, chipmakers are challenged with manufacturing denser and more complex chips with smaller line spacing and 3D features. The digital transformation we are all experiencing as consumers present new challenges to material makers, as well as opportunities. Contamination control remains one of the largest challenges as integrated circuit (IC) technology advances. Better contamination control can significantly improve yield, and a one percent yield improvement can mean up to $150 million per year in net profit.In order to maximize yield and maintain the reliability of electronic devices, fabs must remove smaller and smaller particles along with the metals that can contaminate wafer surfaces and interconnects. Figure 1 shows the range of defects that can result from contaminants in the chemical materials used in the chipmaking process. 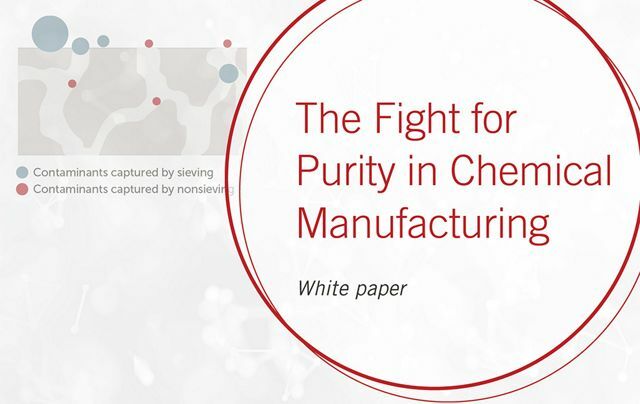 Fabs have always fought the battle to purify the chemicals they use in the chipmaking process, but they are increasingly looking to chemical providers to deliver cleaner, more contaminant-free chemicals, and create a process that ensures cleanliness throughout the chemical supply chain. The challenge for chemical providers is to cost-effectively meet the demand for cleaner chemicals while remaining competitive. © 1994 - 2018 Entegris, Inc.